Looking for a high R.O.I.? How about 400% from time management? These days, anything with a big positive return on investment sounds too good to be true. We’re not talking about financial investments per se here but rather something just as valuable—your time management. And more accurately, we should say R.O.T.I. which means Return On Time Invested. Specifically, the investment is the fifteen minutes that you can use at the end of your day to plan your next day. Simply by taking those few minutes and following a few simple steps, you will very likely experience a minimum of one hour of increased productivity the very next day! Review your list of tasks and mark which ones got done and which are still outstanding. Note your accomplishments—important for motivation. 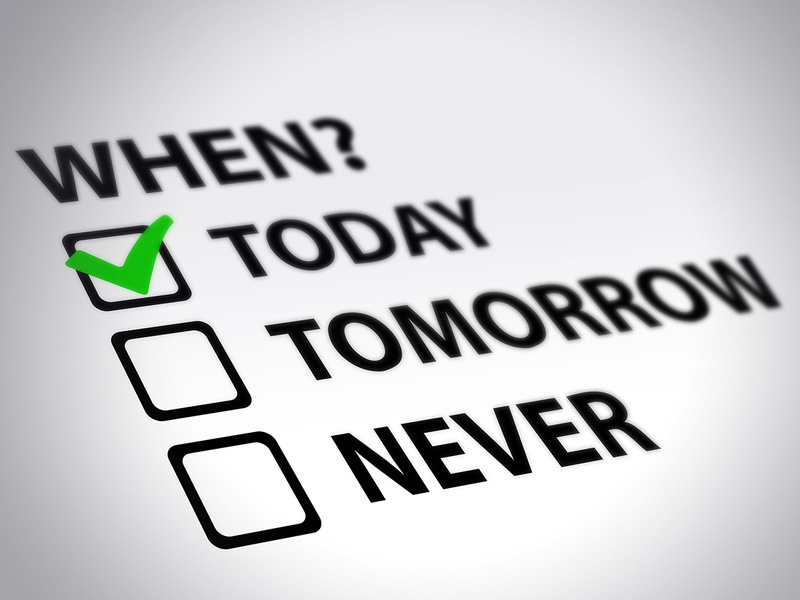 List your outstanding tasks and any new ones you’d like to get done in your next day’s to-do list. In CRM’s or calendar apps, these are often called “task lists.” If you don’t know where the task list is or how to use it, take a few minutes to learn. A calendar for your appointments is not enough. Prioritize the tasks as As (need to get done tomorrow) or Bs (important but don’t absolutely have to be done tomorrow). Put appointments/meetings in the time slots. Work on one task at a time until you’re done (easier said than done we know) before moving onto the next. Multitasking seems to be a good idea but the lack of focus that comes with it causes ineffectiveness. Recent research shows that it can actually lower your I.Q. too! Mark off your tasks as you get them done, allowing time for interruptions and unplanned activities. An added benefit is reducing your stress. Often, as sales professionals, we feel overwhelmed by the tsunami of things we need (or want!) to get done. Let’s face it, a salesperson’s job is never “done.” We could always make more calls or engage in something that will help us grow revenue. That’s a big reason why getting stuff out of your head and onto the plan for the next day makes so much sense. Not only will you feel more in control, but it’ll prevent you from waking up in the middle of the night going through your checklist of things to be done.